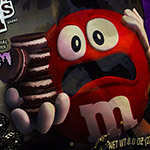 2018's Best Halloween Junk Food, Part 1! | Dinosaur Dracula! On the other hand, I did manage to find enough new-for-2018 goodies to continue my annual essays about Halloween junk food. Below are five of this year’s must-haves. Brisk/Venom Symbiotic Dark Cherry Limeade! Guys, do not sleep on this one. 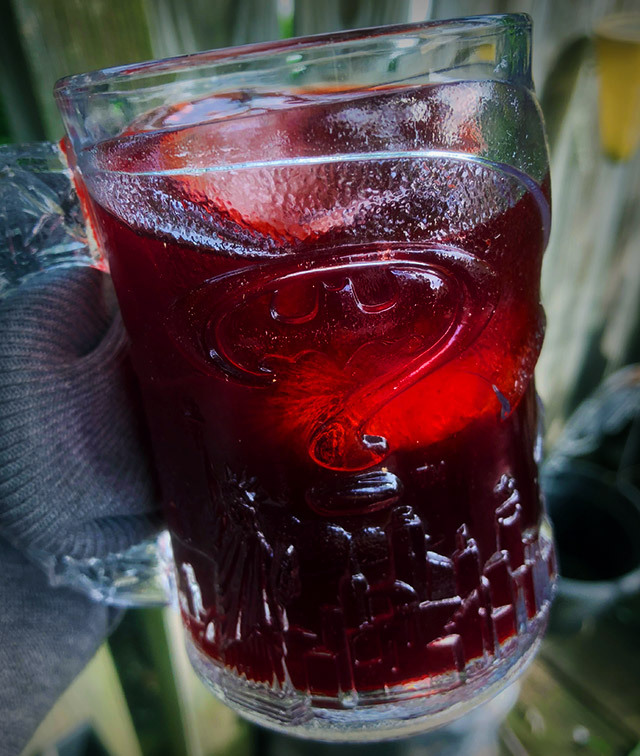 Brisk’s Symbiotic Dark Cherry Limeade isn’t just “okay” or “good enough to drink” — it’s downright phenomenal. I’d go so far to say that it’s the best “soda” I’ve had in years, even if “soda” isn’t the right word. It’s somewhere between a Brisk Iced Tea and a Ssips Cherry-Berry juice box. “Dark cherry limeade” is pretty much my dream flavor, but this was still so much better than I was anticipating. 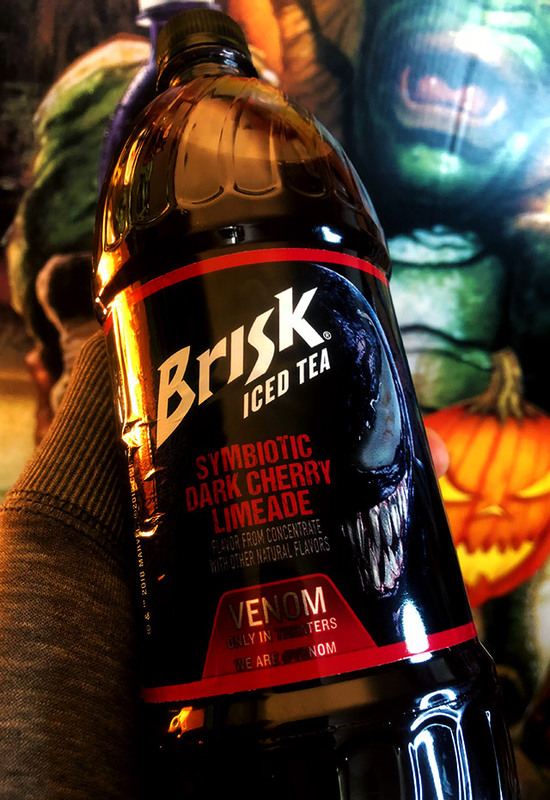 I would not be surprised if Brisk keeps the flavor around even after this Venom promotion runs its course. Honestly, they might not have a choice. I’ll picket the f out of them. GRADE: A+. While the Venom theme may be the draw, it’s the taste that will guarantee repeat purchases. I refuse to believe that there exists a single person who won’t love this. 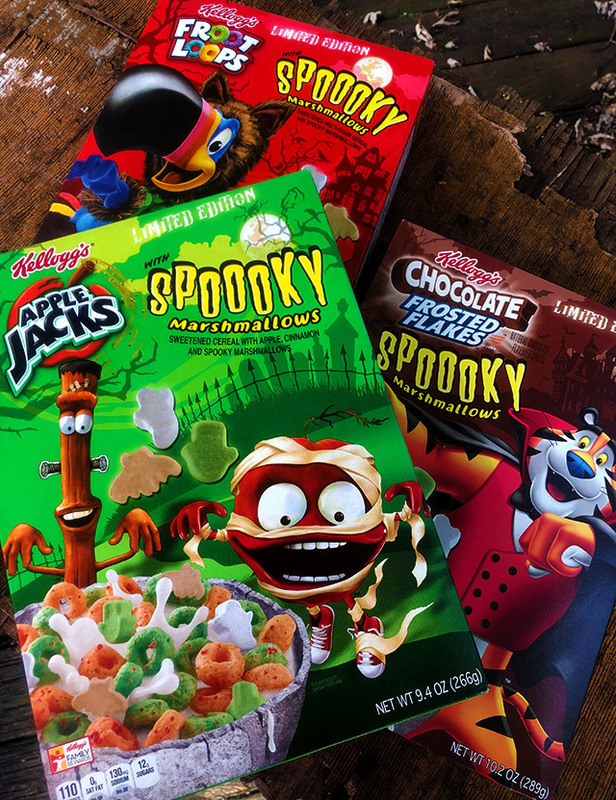 Kellogg’s Cereals with SPOOOKY Marshmallows! 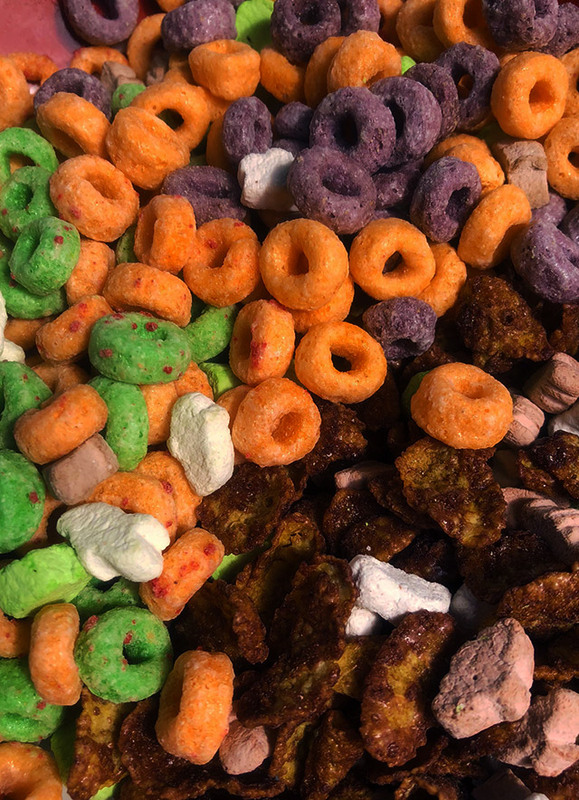 This might be a blah year for Halloween candy, but it sure isn’t for Halloween cereal. The fact that I’m dumping these beauts into a multi-subject article is all the evidence you need. 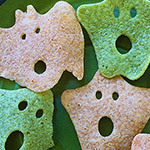 We’re just drowning in haunted breakfasts this year. The box art is fantastic, but there might be a needle buried in those Apple Jacks. As my bud Cerealously pointed out, Sam’s werewolf disguise and Apple’s mummy getup seem to wink at Fruit Brute and Fruity Yummy Mummy. Considering that this has been an unusually weak year for the Monster Cereals, one could see that as throwing shade. I do have some criticisms about these, but lemme cushion ’em with a thank-you to Brach’s for always trying new and interesting things. 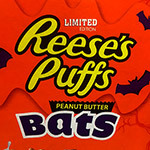 They’re Mellowcreme candies shaped like bats and moons, and no matter what, that’s a net positive. Still, as excited as I was when photos of these first popped up, the in-hand reality was a bit disappointing. For one thing, the individual pieces are just too large for my taste. I thought I’d be getting handfuls of multicolored spooky-shaped gems, and was so fixated on that idea that I went and preordered an action figure scale treasure chest. 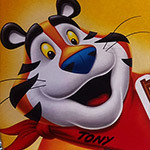 Instead, they’re these biggish chunks that no 3¾” G.I. Joes can elegantly hold. 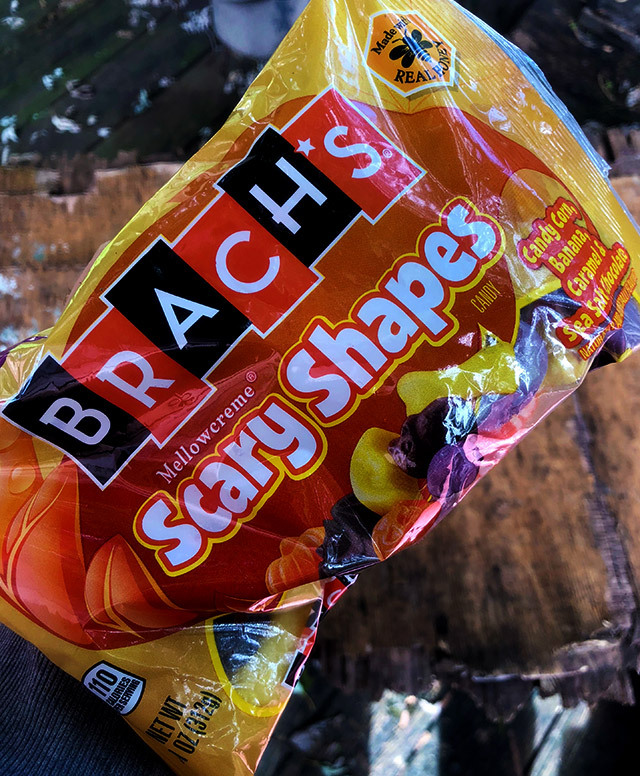 That’s right, Brach’s — I’m calling you out for not designing your candies to effectively double as action figure accessories. I’d also assumed that they’d arrive in various fruity flavors, and act like the Mellowcreme versions of fruit snacks. 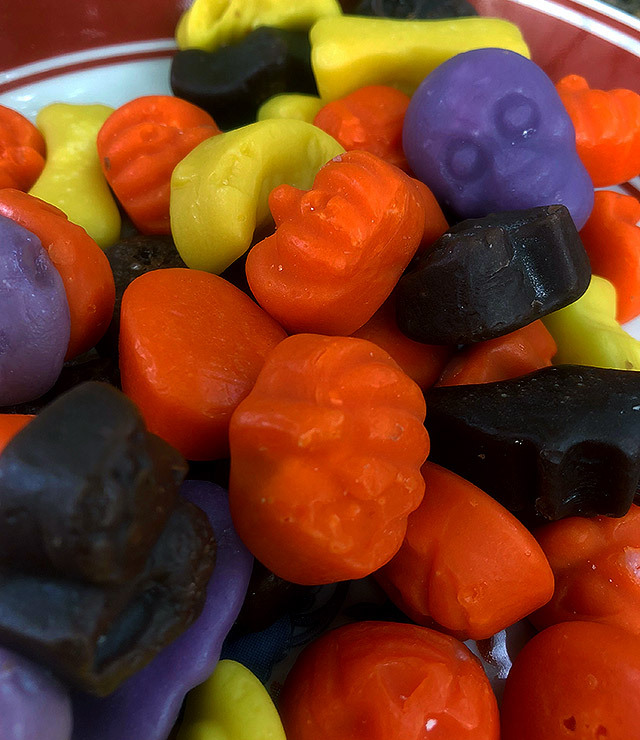 Instead, the flavors include candy corn, sea salt chocolate, caramel and banana — sooo not my style, and perhaps incongruously sophisticated for bowlfuls of purple skulls and yellow humeri. 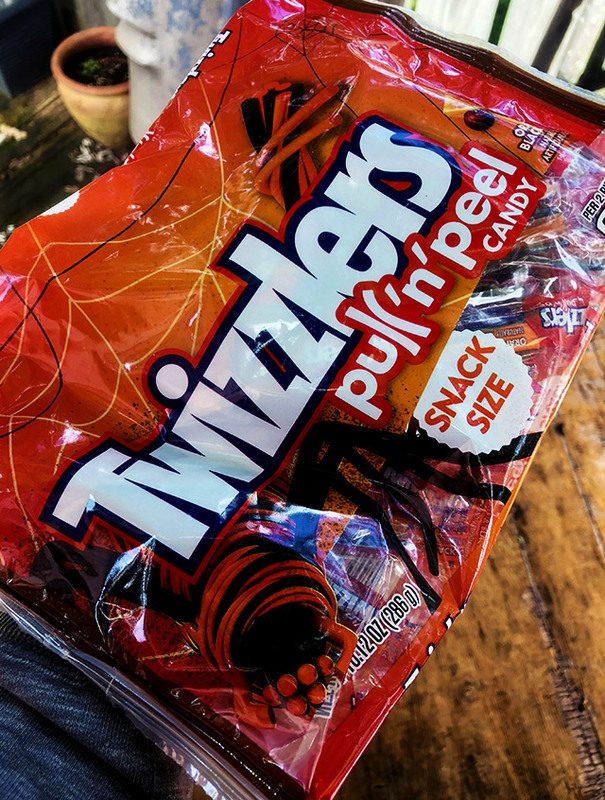 Pull ‘n’ Peel Twizzlers never taste exactly the way you want them to, but these are still pretty good. 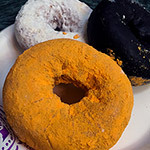 The orange and black cherry flavors are faint but noticeable, and if you separate the strands, you can give your zombie gingerbread men cool hairdos. 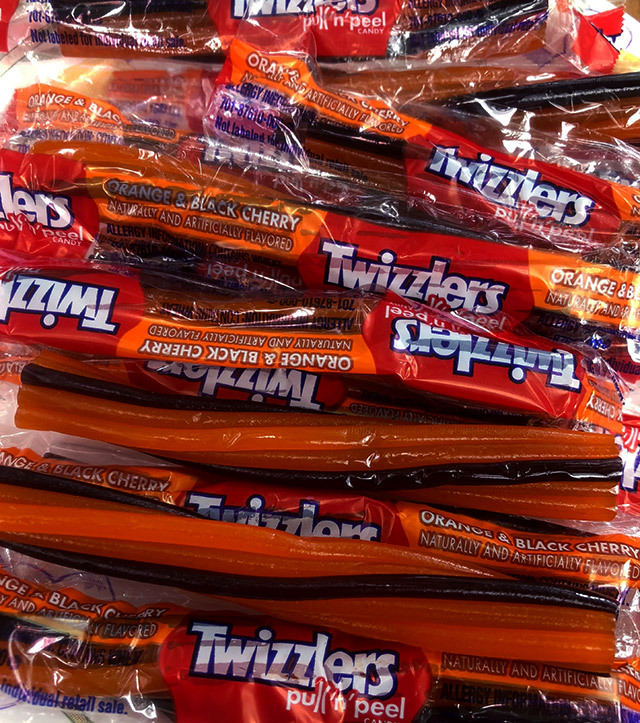 Bonus points: I love the way black licorice looks but hate the way black licorice tastes, so this was my first-ever chance to mess with a gothic Twizzler that I could actually eat. 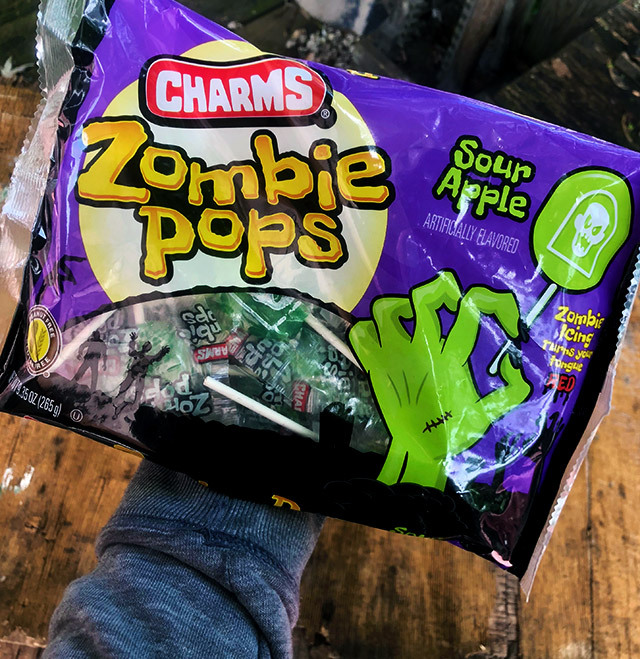 Charms Sour Apple Zombie Pops! 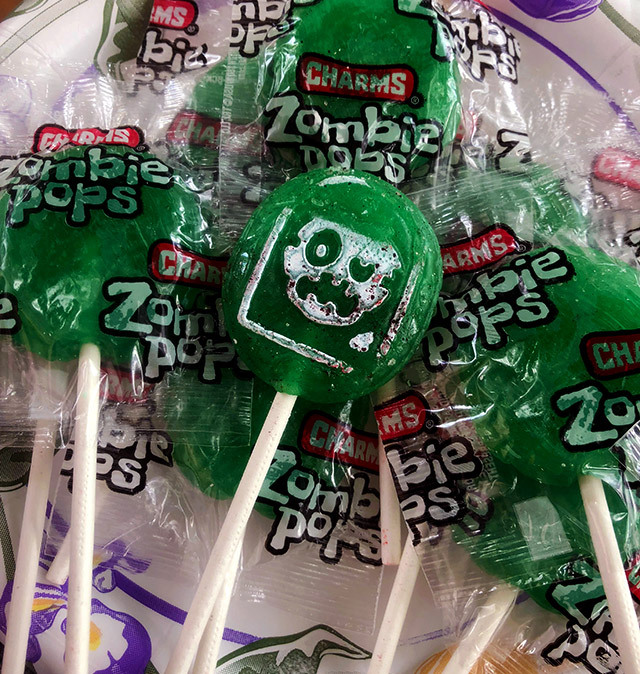 Charms Zombie Pops are sour apple lollipops with an amazing gimmick: The “zombie icing” on each pop immediately smears food dye when you lick it, staining your tongue blood red. It’s a familiar trick, but Charms went SUPER HEAVY with that red dye. 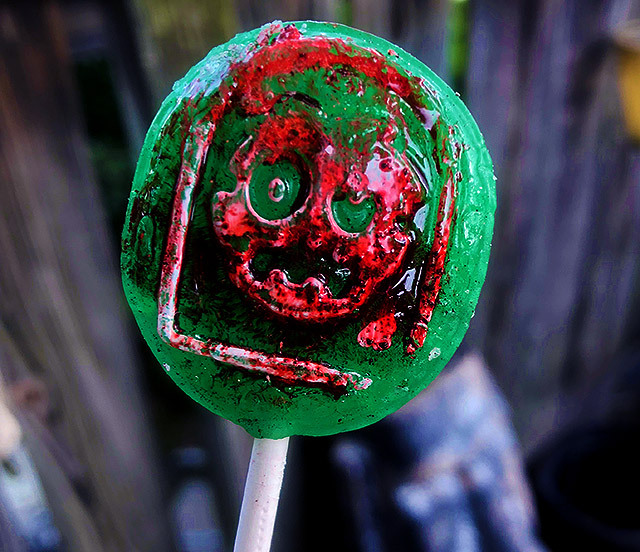 Even after just one passive lick, my lollipop was a gory mess. I was actually taken aback, because while many Halloween candies flirt with grossness, these Zombie Pops just completely and totally went for it. The lollipops feel more like something from the ‘90s than today, even considering that zombies are very much a “now” thing. I couldn’t love these more. 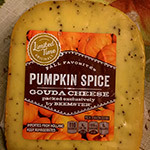 They’re Halloweeny in a perfect storm sort of way. GRADE: A+. The only downside is that they’re tough to find in stores. You can buy bags from Amazon, but there’s like a 600% markup. Stay tuned, because I’ve already begun gathering the materials for the next edition of 2018’s Best Halloween Junk Food. While you wait, why not relive some of yesteryear’s treats? Many are still in stores!